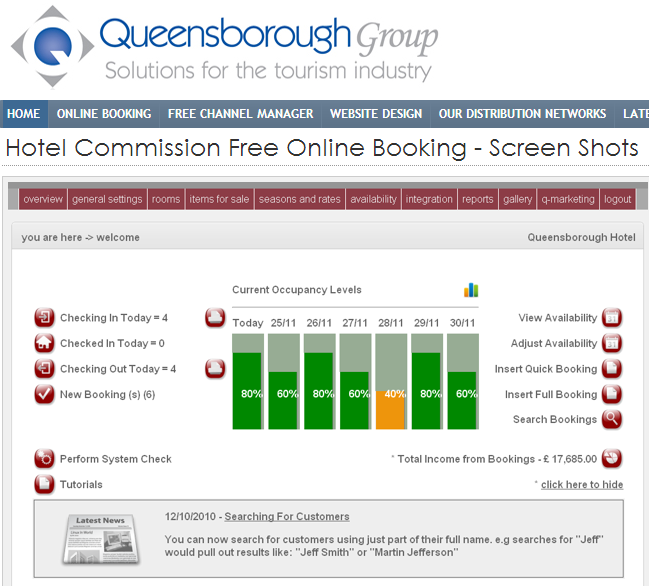 A former client of ours got in touch last night to advise that the commission free Q-Book booking engine was closing down. It's interesting timing as when sitting with a couple of clients last week the discussion moved to when we were going to change our own booking engine packages to a commission free model. Our reply was honest and open; we could never afford to turn to a commission free model and we didn't see the long term financial basis that we could offer something for free. We couldn't understand how we could make the commission free business model work so it wasn't an option for us. So maybe it wasn't a surprise that the commission free market would see a casualty at some point as it is incredibly and increasingly competitive. We have looked at how we could get more of the market share and decided that it was indeed too risky and that it would jeopardise all of the work we have done over the years in providing professional and very personal account management to all of our clients when they needed it. It clearly works for other booking engine providers but we can't get it to stack up at our end. Clearly neither could Queensborough. We recently sent an email out about a £50.00 extra charge for Q-Book, this was to put extra staff in a position where they could help in our support team for Q-Book, as well as helping us develop Q-Book further.We had too many of our clients stating they would move if the charge was put in place, this leaves us in an impossible position to carry on with Q-Book. With having thousands of clients using Q-Book and the free channel manager, this recently has stretched our resources to the limit, thus not offering the great service we are renowned for. Due to this Queensborough Group has decided Q-Book will be closed down at the end of this month (30th April 2014) for good. 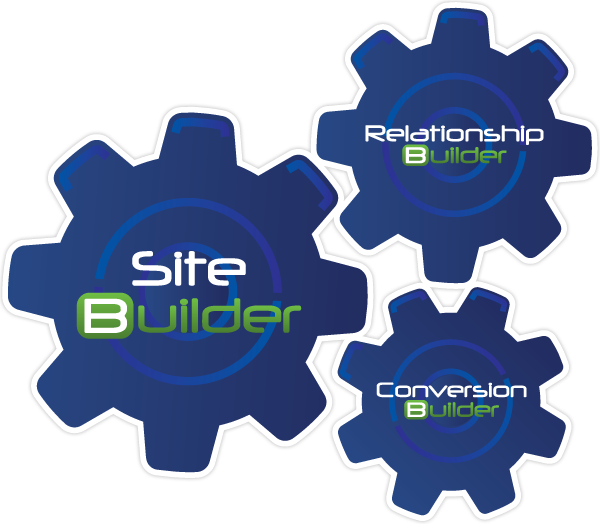 This means we can add the extra resources and concentrate on our core business for over 16 years which is website solutions and distribution networks. [Your business} will continue to have large exposure on the distribution networks (80) see list here, new logins will be passed on in due course for these distribution networks. Any xml connections through Q-Book will cease, please contact your booking service provider for more details, please make sure that you have taken all your booking information out of Q-Book before (30th April 2014). The correspondence goes on to explain that all XML feeds will cease to work from the end of this month but websites will remain unaffected although we'd guess that these websites were bought because of the integrated booking engine therein. That should be interesting too. They then recommend a list of other commission free web based booking engines that offer similar products. Perhaps they have more robust commission free booking models who knows. Whatever is behind this and whatever the future may hold it is a major disruption for Q-Book users at the beginning of the main season and will cause palpitations for many who thought they were using a sound long term platform. My old mammy used to say "Son if it sounds too good to be true, then it usually is". The danger now is that this may push more small operators to the OTA aggregators and lead to further commoditisation of the product and further increases in third party commissions. A commission free button on an accommodation website needs to generate revenues for the service provider somewhere and that is usually through third party commission sales on OTA sites. If nothing else maybe the provision of "free" services will be at least open to a little more questioning by those using them. They are certainly not bad but neither are they a panacea. If you or your organisation have been affected by the closure of Q-Book please drop us a note and we will get back in touch with you over the next couple of days with what we offer through our partnership with award winning Bookassist booking engine. It will not be for everyone and it certainly wont be a straightforward replication of a free service but it offers a realistic solution aimed at driving more business through your own website and NOT thorugh high commission third party sites. We would be delighted to discuss further who we can work with your business to improve DIRECT sales through our integrated online marketing programmes and packages built to convert. You can find out about Bookassist Booking engine at the More Info link below. Please email us in the first instance as the phones have been rather busy!